Cake Byte: September Sweetness at Trophy Cupcakes! Blueberry Pie! 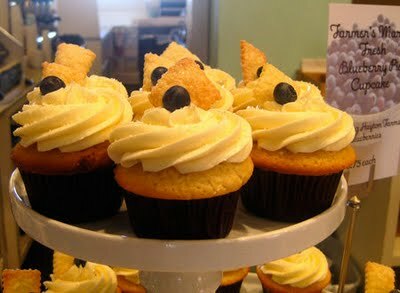 Our Vanilla Buttercake with a buttery pie crust on the bottom...then filled with housemade organic blueberry pie filling and topped with Vanilla Bean Buttercream...whoa! Available Wednesdays and Saturdays. 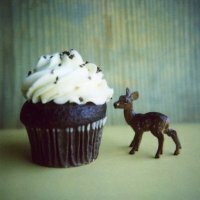 But that's not the only reason to visit Trophy Cupcakes this month: they also have a wonderful new art show by talented photographer Elizabeth Soule (example shown left)! The show will be up through September in their Wallingford location. What are you waiting for? Get yourself over to one of the Trophy Cupcakes locations! For more information, stay connected with Trophy via their site, their Facebook page, or their Twitter feed.